Alberto Giacometti’s gaunt, elegant, elongated figures have become icons of the modern era. Giacometti was one of the most prominent sculptors of the 20th century and his work left an indelible mark on the entire artistic landscape. At the same time, his paintings, prints and drawings are also held in high regard. Examples of works in all his media are held by museum collections throughout the world, including a number from his estate which remain on display in various public galleries in his native Switzerland. Giacometti was born a member of a family that already featured several prominent Swiss artists, not least his own father, Giovanni, and his cousin, Augusto. 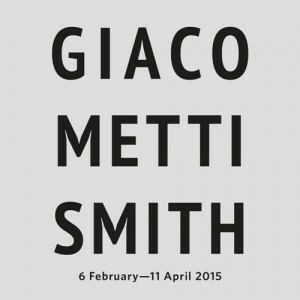 Growing up, Giacometti himself focused on painting and drawing, rather than sculpture, for a number of years. However, gradually he turned towards sculpture, becoming a student of Emile-Antoine Bourdelle in Paris. Over the following years, Giacometti began to pare back the forms in his sculptures, creating works which often had a rigorous purity that evoked the ancient artefacts of, say, the Cycladic islands or of tribal cultures. These included Femme and Tête qui regarde. In them, form and meaning have been harnessed with an incredible economy of means, with the merest indentations indicating the features, yet doing so evocatively. Soon, Giacometti’s sculptures gained a more Surreal quality that would see him linked to that movement for the first half of the 1930s. During this period, he created works such as Femme égorgée and later Le palais à 4 heures. He also created a small group of Cubist works, in part responding to the friendship and influence of Jacques Lipchitz. 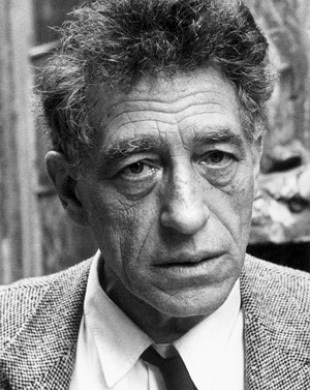 At the outbreak of the Second World War, Giacometti returned to Switzerland; he had assumed that he would be able to go back to France soon, but this turned out not to be the case, and he spent most of the war in his native country. While there, he suffered an artistic crisis, through which his urge to reduce appearance to its strictest kernel would result in his picking away so much of the substance of his figures that they became absolutely tiny – at the end of the war, he was said to have returned to Paris with several years’ worth of sculptures carried in large match boxes. Soon, Giacometti had a revelation that transformed the way he saw and allowed him to render form in a new way, resulting in the elongated figures that are so recognised to this day. Their gaunt yet soaring appearance led to them being regarded as perfect illustrations of the atmosphere of existential angst that coloured the European avant garde in the post-war era. Indeed, his friend Jean-Paul Sartre wrote prefaces on his works. As well as his standing women and striding men, he also created sculptures such as Le nez and La main of 1947 and, later, La jambe, showing fragments of the human body. In addition, he made portrait busts in which scale was often utilised to give a sense of psychological distance, usually showing his brother Diego as well as various other people. In both his paintings and his sculptures, he tended to depict only a small group of those around him, with a few exceptions. Thus several of the figures who do appear in his work also recur, for instance Eli Lotar, Isaku Yanaihara, and Annette Arm, his wife, whom he had met during his time in Switzerland.